Motorola Mobility announced plans of entering retail agreements with The Carphone Warehouse, Best Buy and Dixons Retail Plc. in the U.K. One of the most voiced company over the Mobile World Congress 2011 (MWC 2011), the company confirmed a handful of retail giants on introducing the Motorola XOOM in the European market. The Motorola XOOM tablet comes powered with the strong and powerful, Google’s Android 3.0 Honeycomb Operating System, with the OS specifically designed for tablets. 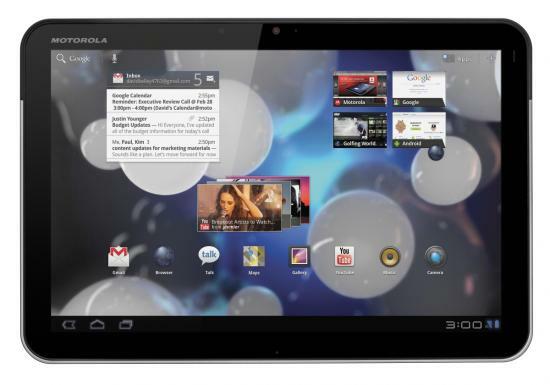 According to a press release, “The Carphone Warehouse” and “Best Buy” would be launching the Motorola XOOM tablet (3G/Wi-Fi) and Currys and PC World to launch the ‘Motorola XOOM Wi-Fi’ in Q2 2011. We’re excited to be bringing a device as powerful as Motorola XOOM to leading carriers and partners in the U.K. Today’s announcement is testament to how well Motorola XOOM has been received by consumers and carriers alike. For quite sometime we have been hearing on 2011 being the year of the tablet. A number of tablets from some of the top tech giants have been unveiled lately, all following the Apple iPad. Demand for tablets have been higher than expected and analysts eye it to grow in the next 12 months. Next Entry: $1.78 Billion Revenue for App Store?